Bible Codes Connect Palestinians and Islam With Amalek in Jerusalem Conflict - Breaking Israel News | Latest News. Biblical Perspective. Bible codes have revealed that Friday’s horrific Shabbat massacre in Halamish had deeper roots connecting the Nation of Ishmael to Amalek, said expert Rabbi Matityahu Glazerson. 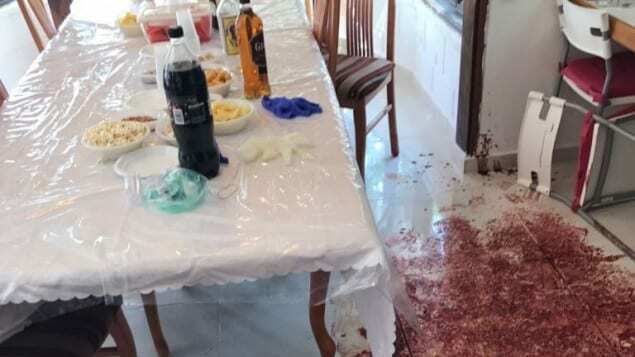 After a Palestinian terrorist murdered three members of a family in the Samarian community of Halamish last Friday night, Rabbi Matityahu Glazerson turned to Bible Codes to uncover hidden messages revealing deeper aspects of the horrifying event. Bible Codes are messages encoded within the Hebrew text of the Torah. Rabbi Glazerson uses mathematical logarithms to find meaningful relevant letters and words at set intervals. “The terrorists are clearly from Amalek since all they want to do is massacre Jews,” Rabbi Glazerson predicted before he began. In the Book of Deuteronomy, the rabbi discovered Halamish, the name of the town in which the Jews were killed, adjacent to the word tevach, slaughter. At the base of the code alluding to the terror attack was the verse in Deuteronomy referring to Amalek. Amalek earned the role of Israel’s arch-nemesis when the nation attacked the Children of Israel during the Exodus. Their attack targeted the rear of the camp where the the old and the weak walked, similar to the terror attack in Halamish in which a 19-year-old Palestinian murdered a 70-year-old grandfather and seriously injured his 60-year-old wife. Rabbi Glazerson then discovered that the letter ‘mem’ in the word Amalek in this verse is included in a code that spells out the words Abu Mazen, another name of Palestinian Authority President Mahmoud Abbas, who called for a Palestinian “Day of Rage” last week in response to Israel installing metal detectors on the Temple Mount. In a Facebook post made moments before setting out, the Halamish terrorist cited this conflict as the motive for his attack. Included within the same code is the word m’chabel (terrorist) connected to the word Ishmaelite. The Arabs are considered to be the descendants of Ishmael, the son of Hagar, a maidservant, and Abraham. Ishmael is described in the Bible as being antagonistic to his own kinsmen. Last Thursday, Rabbi Glazerson commented on the political situation surrounding the Temple Mount, attributing the intense conflict to this aspect of Ishmael as well. He cited a writing by Rabbi Moses ben Maimon, a medieval Sephardic Torah authority known by the acronym ‘Rambam’. Jews in the time of the Rambam suffered from horrible persecution at the hands of Muslims. 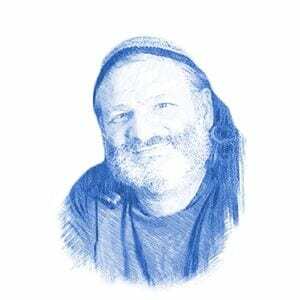 “There never came against Israel a more antagonistic nation,” wrote the Rambam. He taught that King David knew through prophecy that the worst troubles would come to Israel from the offspring of Ishmael. Kedar was the second son of Ishmael and the forefather of the tribe that settled in Arabia. Mohammed, the founder of Islam, is said to be a direct descendant of Kedar.